A new website based in Russia is streaming video live from thousands of private webcams around the world, including images of babies and hospital patients. Many of the cameras have been installed in homes and businesses by people trying to improve security. The owner can use them to monitor their property remotely via the Internet. But by providing public access to these devices -- including CCTV networks in shops and baby monitors -- the website is exposing their intimate moments. The website claims its motive is to draw attention to the problem. "These cameras are not hacked. 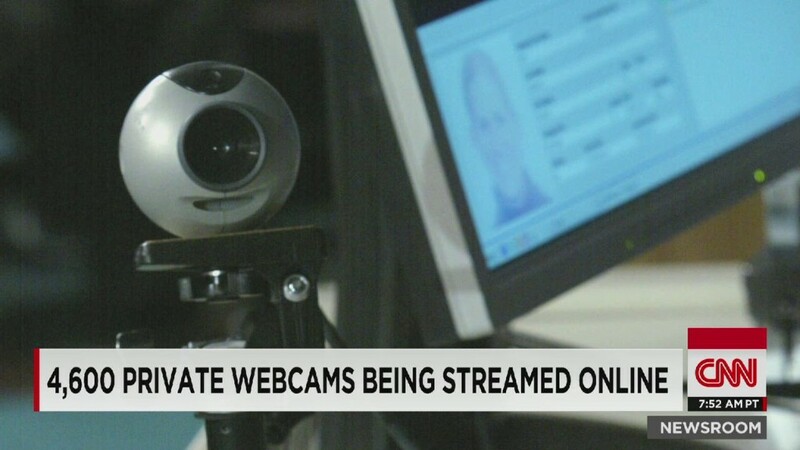 Owners of these cameras use default password by unknown reason," the website says. There's video of a couple having breakfast in France, CCTV footage of an elderly patient lying in a bed in Minnesota, scenes from a beauty salon in Japan, and the view of a playground with a pool and trampoline in the Netherlands. Each link comes with what the website claims is the camera's GPS coordinates, postcode, time zone, and a map showing its precise location. "Few people would leave their front doors unlocked, yet failing to password protect your devices carries the same risks to both their privacy and security," said Emma Carr, director of the Big Brother Watch privacy pressure group. The U.K. Information Commissioner's Office urged people to change the default passwords to prevent their cameras from being hacked. Over 14,000 of those devices are made by China's Foscam. The manufacturer was not available to comment. Panasonic (PCRFF) and Linksys cameras were also affected.